Cutthroat competition among multiple industries in India makes it inevitable to provide finest quality customer support which is needed to ensure long-term survival. This also creates the need for hiring a call center which is proficient in handling customer-related processes with full professionalism and dedication because an average agency often fails in delivering the best results. The call center companies with large-scale operations ensure that they provide intensive training on regular basis to their agents. Also, the hiring process in these centers guarantees that only deserving candidates with suitable communication skills are screened while recruitment. This ensures that the process of the company is in the hands of experts who are willing to deliver as per the needs of the client’s company. The prominent call center agencies are focused on the satisfaction of end customers as it is the priority of the clients. They implement multiple methods like customer satisfaction analysis, tracking of calls and prediction of consumer behavior through analytics. These and multiple other methods assure that call centers are able to give a most suitable resolution of the query whenever a customer contacts them. The performance and quality of the call center agents are examined through various metrics like first call resolution time, net promoter score and answer time etc. These metrics ensure that quality is maintained as per the standards fixed by the call center agency which confirms that the process is being performed at the finest possible level. An Indian call center with large-scale operations gives special emphasis to suitable technology for running the call center process at the workplace. Technologies like customer relationship management (CRM) software, IVR development services, and VOIP calling facility and automatic call distributor (ACD) are some of the basic technologies which are possessed by call center agencies. The renowned call centers try to modify their processes with the addition of new technology on regular basis to streamline the overall process. 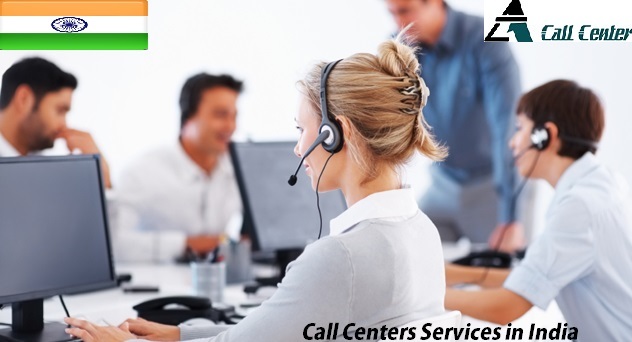 Call centers providing telemarketing services have the capability to convince the potential customers to purchase their product/services. Also, companies offering order taking services provide detailed information that increases the willingness of potential customers to purchase the product/service. An ordinary call center may not have proper arrangements to manage the data security. But firms with finest call center services in India apply stringent security methods to ensure that safety of the data is not compromised. Also, these companies take stringent measures to renew the services in case of technical disaster or natural calamity. Present day’s smart consumer expects to receive assistance from multiple channels like phone, email and social media etc. Keeping this in mind, a renowned call center service provides customer care support services through these different channels which makes sure that end customers that the satisfaction level of customers is boosted to a much higher level. All these points prove that the need for a call center is inevitable for every growing or an established company. Posted in Call Center and tagged call center services.